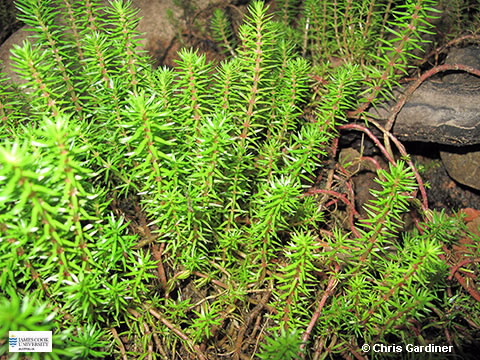 This small annual herb is typically found growing in damp ground or even shallow water. Leaves are in whorls of 3-8, sessile, ovate to ovate-elliptical, up to 6 mm long. Submerged leaves may be much longer. Flowers in a spike, greenish, petals are absent, stamens are inserted on the floral tube. Fruit is a capsule.